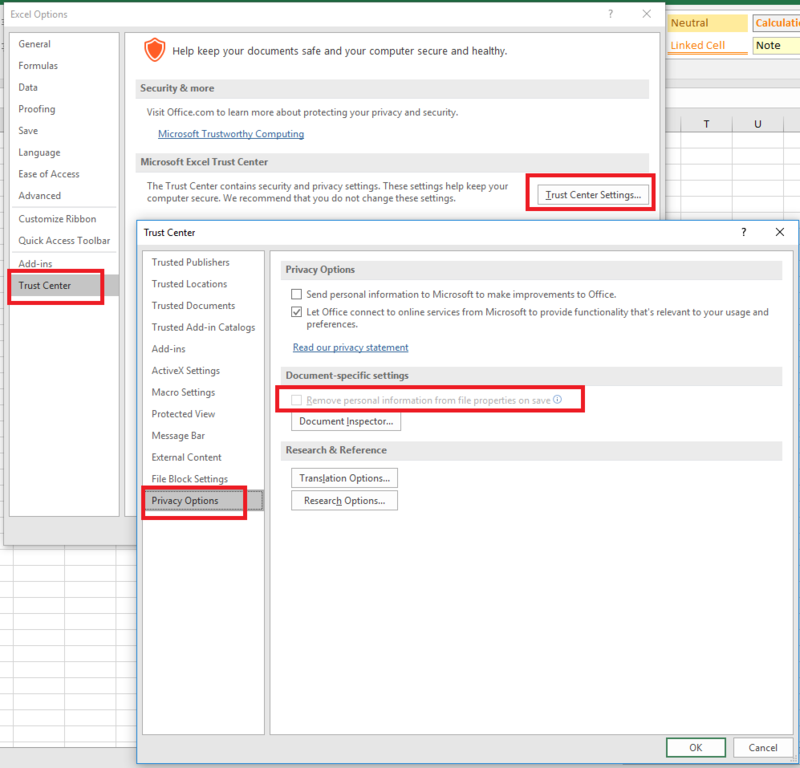 Microsoft Excel had a great feature for Workbook Sharing (collaboration), Track Changes, and Compare & Merge Workbooks. This feature is very useful when multiple users need to edit the same Excel file. The Excel file can be saved on DriveHQ cloud file server (or a local file server). 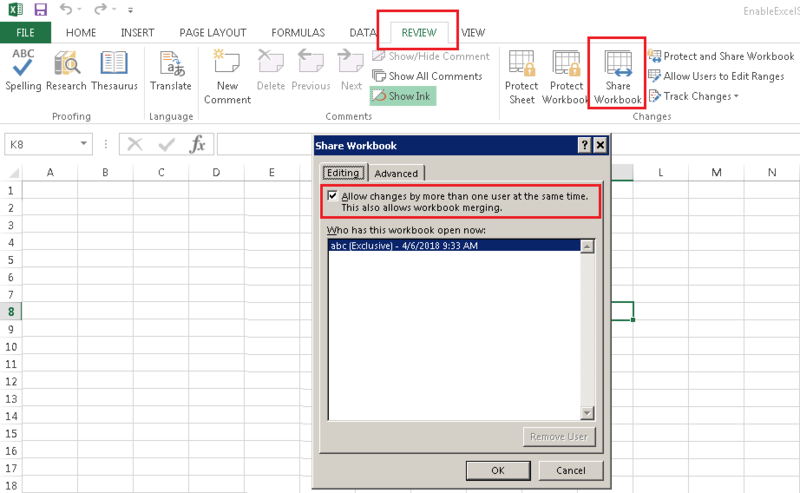 If the Excel workbook is not shared, when a user opens the file, it will lock the file. Other users can open the file for read-only access. (This is the regular file-locking feature). 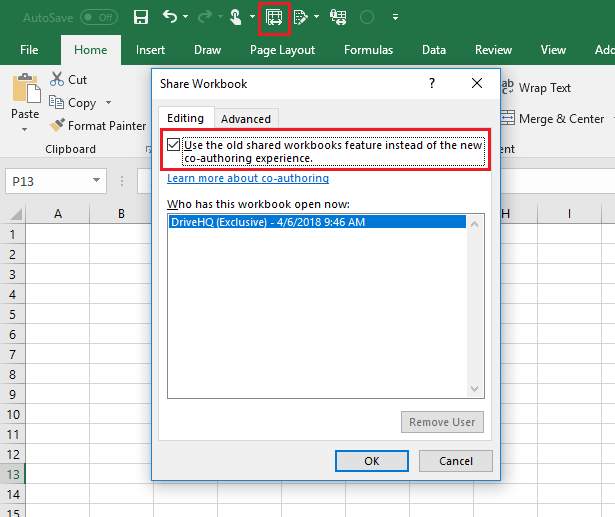 After you share the workbook, multiple users can edit the same Excel file at the same time. Changes made by two users can be automatically merged (unless there is a conflict). In the latest version of Excel 2016, ﻿Microsoft chose to hide this feature. Instead they try to push for the cloud-based co-authoring feature. The co-authoring feature has an advantage in real-time collaboration, but it also has a huge disadvantage: it only supports files stored on OneDrive. If you open an Excel file on a local drive or a network drive, you cannot directly share it. The file must be uploaded to OneDrive and then shared to other users. (2) Select "All commands" in the "Choose commands from" drop-down. 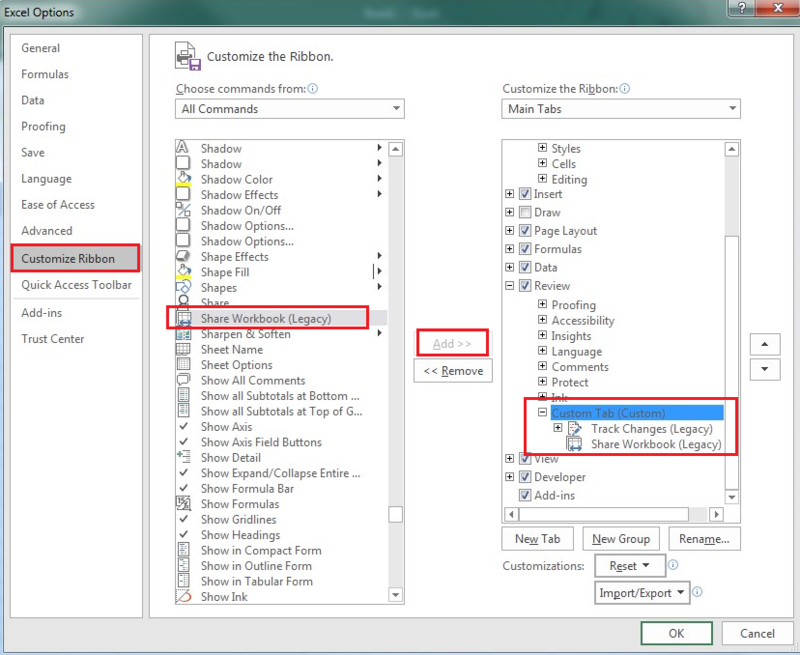 (3) Select "Share Workbook (Legacy)" in the list and click Add. 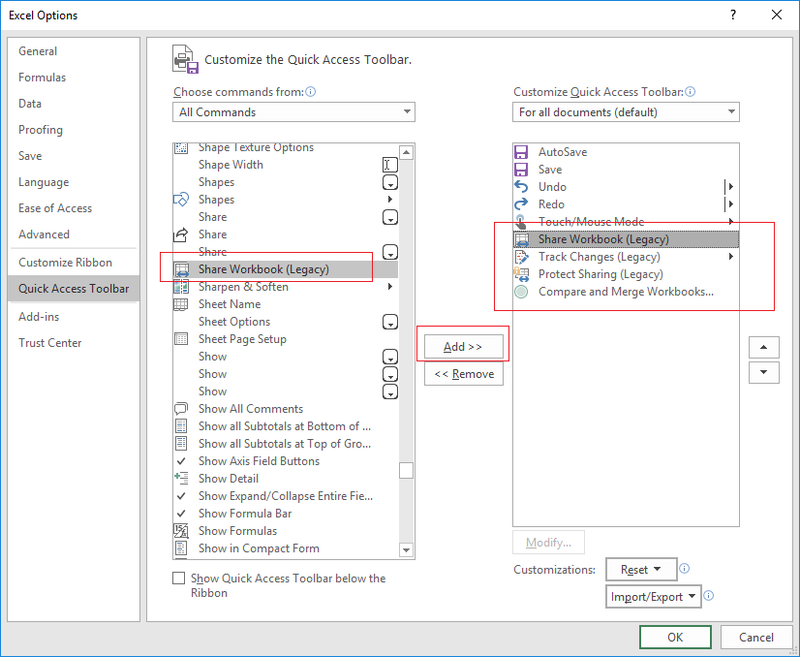 Do the same for "Track Changes (Legacy)", "Protect Sharing (Legacy)", "Compare and Merge Workbooks"
Note: if you customize the ribbon, you will need to create a New Tab or New Group. Customizing the Quick Access Toolbar is slightly easier. The dialog is similar to the older versions of Excel. You just need to check the checkbox of "use the old shared workbooks feature instead of the new co-authoring experience." (2) If you have many users (employees) who need to customize this feature, you can automate it. Microsoft has a support page on that. While it is for Office 2010, it is likely to work for Office 2016. (3) If you use DriveHQ's cloud drive mapping service, please map your cloud drive as a "Local" drive. If a drive is already mapped as a WebDAV drive, you can click Repair and select Remap as a "Local" drive. A mapped "local" drive is more compatible with Microsoft Office 2016.